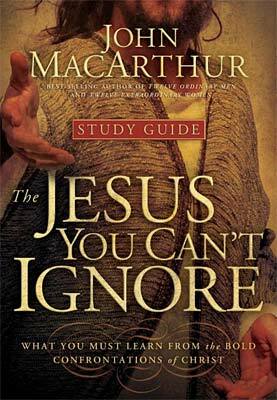 This book by John MacArthur is another excellent and fascinating read. It is a book written in response to the idea “that if Christians want to reach unbelieving people in a postmodern culture, we need to be less militant, less aggressive, less preachy, and less sure of our own convictions.” The idea that we “should meet other worldviews with conversation, not conflict.” The author takes us on a survey of the Gospels and looks at how Jesus dealt with the Sanhedrin, Pharisees, Sadducees, Chief Priests and Ruling Elders. He uses Jesus own sermons and interactions with these groups to portray a Jesus who purposefully confronted these groups to show and condemn their doctrinal error. He begins by acknowledging that we do need to avoid foolish and ignorant disputes and that there is a time and place for conversation but we must also fight the good fight. He discusses what history and scripture say about the importance of sound beliefs and where the evangelicals of today are headed. He then asks and answers the question on how we should defend the faith. “What would Jesus do?” and “What did Jesus do?” He discusses “When it’s Wrong to be Nice.” He talks about the two Passovers that bookend Jesus’ public ministry and how they portray a Jesus who was not afraid to confront error. This book shows how Jesus definitely and purposefully orchestrates these confrontations to ultimately bring about His death. He has a chapter on Jesus’ conversation with Nicodemus. He has a chapter on “Breaking the Sabbath”, “Hard Preaching”, the “Unpardonable Sin”, and the “Woe’s”. This book will definitely help you see that the modern day version of this meek and mild Jesus is so wrong. It will challenge you to step out of your comfort zone to confront those who deliberately seek to undermine sound doctrine or teaching. It may cost you something or everything in this life.